Jeff Panovich L.M.T. is a graduate of Wynford H.S. Jeff received an Associate Degree from Hocking Technical College in 1987 and attended Ohio State. 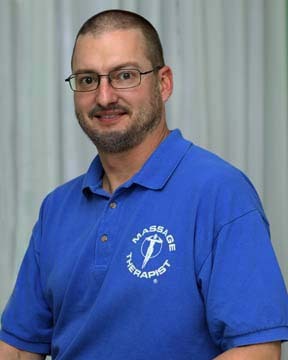 He graduated from Central Ohio School of Massage in Columbus, Ohio in October of 1992. Licensed by the Ohio Medical Board in December of 1992, Jeff went on to become a Certified Foot Reflexologist in February of 1995 at the Reflexology Science Institute in Columbus and took an advanced Reflexology course there in February of 1996. Accredited baby’s first massage instructor. The instructor is prepared to teach parents or caregivers massage listening & sensitive touch skills in order to empower them to create a strong family foundation of love esteem and respect.